Inspired by Wolfgang Petersen’s iconic film and Lothar-Günther Buchheim’s bestselling novel, Das Boot brings the reality of the Second World War to life with two storylines running parallel on land and sea. In autumn 1942 in occupied France, U-612 is ready for its maiden voyage, preparing to head into the increasingly brutal battle with its young crewmen, including new commander Klaus Hoffmann (Rick Okon). Meanwhile, at the port of La Rochelle, the world of Simone Strasser spirals out of control as she is engulfed in a dangerous liaison and forbidden love, torn between her loyalty to Germany and the Resistance, and causing her to question everything. 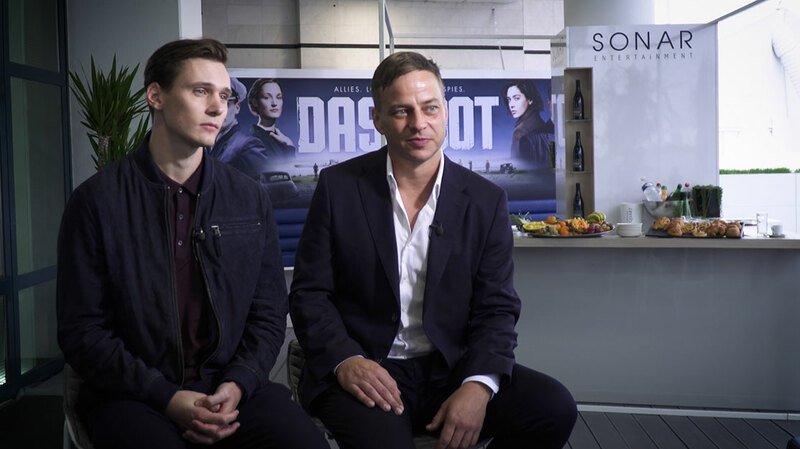 In this DQTV interview, Okon (Tatort) and Tom Wlaschiha (Game of Thrones) set the scene for the story and how it reinterprets Petersen’s movie. They also discuss the mental and physical challenges of filming in claustrophobic conditions, and explain why they believe this is an exciting time for actors in international television. Das Boot is coproduced by Bavaria Fiction, broadcaster Sky Deutschland and distributor Sonar Entertainment, which has sold the series into more than 100 territories worldwide. The drama debuts on Sky in Germany, Austria, Switzerland, the UK and Ireland tomorrow and in Italy in December. It will air in the US on Hulu.